Lt Gen. Ranbir Singh, who took over as Army Commander, Northern Command, last week met Governor N.N. Vohra at Raj Bhavan today.Lt. General Singh briefed Governor about the situation obtaining along the frontiers of J&K and about issues relating to security management in the hinterland in the Kashmir and Jammu regions. 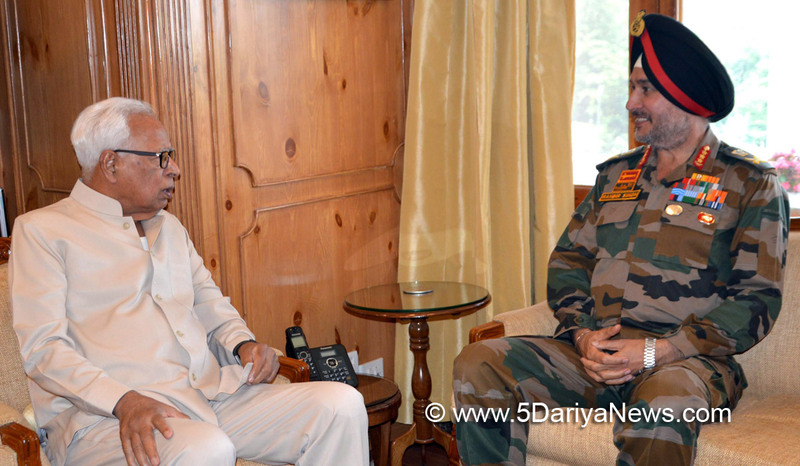 Governor discussed with the Army Commander certain concerns relating to the forthcoming Shri Amarnathji Yatra.Governor wished the General a very successful tenure ahead.